New NAND flash controller offers high reliability and security for industrial solid state drives (SSDs), M.2, U.2, CFast and embedded flash drives (eSSDs). 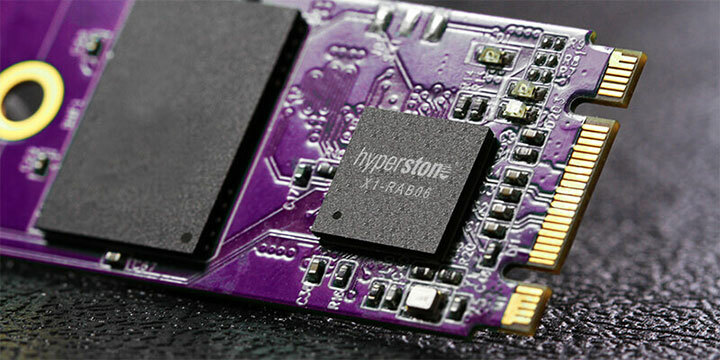 Konstanz, Germany, 12 February 2019 – Today, Hyperstone introduces its new X1 – SATA III SSD controller. The X1 is targeting industrial and high-reliability SSDs, M.2 and U.2 modules, CFast cards and system-in-package eSSDs. In conjunction with Hyperstone’s hyMap® Flash Translation Layer (FTL), the new FlashXE® eXtended Endurance and hyReliability™ features, the X1 guarantees low power consumption, superior power-fail robustness and the highest reliability as well as comprehensive security features. The X1 will initially be available in 144-ball TFBGA (10.4 x 10.4 x 1.1 mm) and 124-ball TFBGA (9 x 9 x 1.2 mm) packages, qualified for the industrial temperature range (-40 to +85 °C). Mass-production samples and released firmware are available now. For more information download the product flyer available on the website today.